Railpictures.ca - Dave Burroughs Photo: A pair of NYC GP-40′s 3062-3091 and a CB&Q GP-40 are on NY4 near Clanbrassil, ON. The stock cars on the head end are the identifying feature for NY4. Geolocation coordinates are in the area of the photograph. | Railpictures.ca – Canadian Railway Photography – photographie ferroviaire Canadienne. 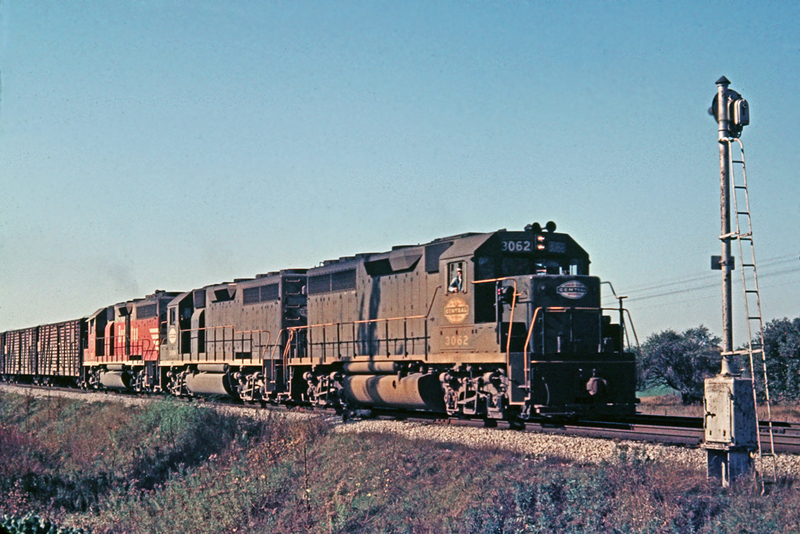 Caption: A pair of NYC GP-40's 3062-3091 and a CB&Q GP-40 are on NY4 near Clanbrassil, ON. The stock cars on the head end are the identifying feature for NY4. Geolocation coordinates are in the area of the photograph. Nice reminder of the past. Always enjoyed seeing NY4 grinding the grade eastbound out of the Detroit River Tunnel at Windsor. Catching a Chinese Red CB&Q in the consist was a bonus. Thanks for sharing, Dave.